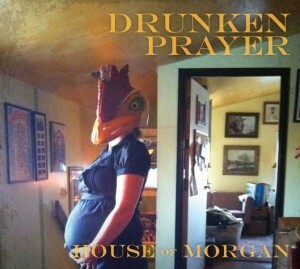 If Reverend Horton Heat and the Jon Spencer Blues Explosion played a tent revival covering Neil Young deep cuts it would likely sound a hell of a lot like the songs on House of Morgan, the latest album from Drunken Prayer. The bi-coastal project of Morgan Geer, Drunken Prayer is releasing a video for every song from the November 2013 album. The third song to receive the video treatment is “KEF 666” which we are honored to share with you today. Indicative of the creative process used to record House of Morgan, the video for “KEF 666” can be viewed below. Purchase House of Morgan via Fluff & Gravy Records. Enjoy!